Description: The stable grade bleaching powder plants supplied by us are easy to install and offers low power consumption. These are high in performance and are made of high-grade stainless steel. 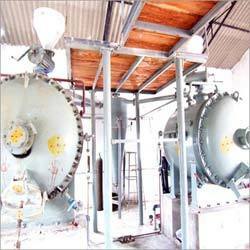 The caustic soda used in these stable grade bleaching powder plants helps in adjusting plant wastewater pH ranges. Available in customized form, these are efficient in processing of dry free flowing bleaching powder without hard lumps.